Today we’re joined by the author of Wicked Women story ‘Red Ribbons’ – Stephanie Burgis, take it away! I’m a total history geek and a former musician. I grew up in East Lansing, Michigan, and I spent a couple of years living in Vienna, Austria, but nowadays I live in Wales, surrounded by castles and coffee shops, with my husband, Patrick Samphire (whom I met at the Clarion West science fiction & fantasy writing workshop! ), our two kids, and our sweet old border collie mix. 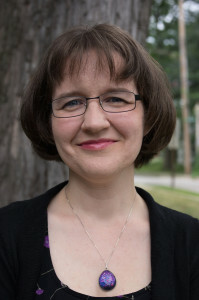 I write wildly romantic historical fantasy novels for adults, fun, funny adventure fantasy novels for kids (my first MG trilogy was set in Regency England, with balls, highwaymen and magic), and short stories that leap all over the fantasy and science fiction field. I decided when I was seven years old that I wanted to be a professional writer, because writing was the only thing that was more fun than reading – and that’s been my career goal ever since! So many! Jane Austen, JRR Tolkien, Georgette Heyer, Robin McKinley, Emma Bull, Judith Tarr, Patricia McKillip, Terry Pratchett, Terri Windling…and that’s only the authors I’d really imprinted on by the end of my teens! I love humour, I love romance, I love banter, I love beautiful writing, I love feeling a true sense of wonder as I read, and I love stories that are full of genuine emotion. Just at the moment, Agent Carter – I looooove seeing her on TV! Your first adult historical fantasy novel – Masks and Shadows – will be coming out next year, what can you tell us about it? It’s a wildly romantic novel set at the palace of Eszterháza, in Hungary, in the late 18th century, full of dark alchemy, forbidden love, blackmail, and dangerous opera. How useful do you find making collages and music playlists when writing your books, and do you have a playlist or collage for Masks and Shadows? 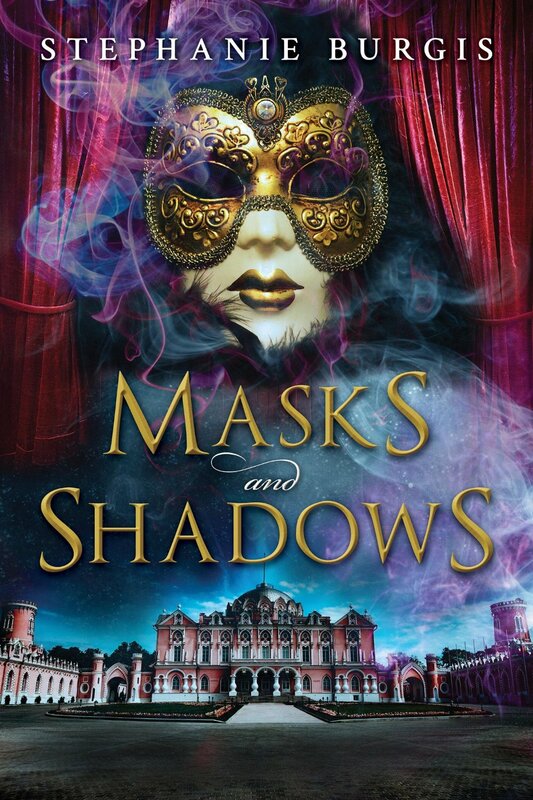 In Masks and Shadows, a lot of the story revolves around the opera house where Haydn worked as the court composer, so of course I listened to a lot of Haydn’s operas as I wrote, along with the fabulous soundtrack to the movie Farinelli (because the romantic hero in Masks & Shadows is a superstar castrato singer). Are there any differences in your approach to writing middle grade fiction versus adult fiction, and are there particular things you can or can’t do in each? My MG novels are shorter, faster-paced and more streamlined than my adult novels. My adult novels are more romantic; my MG novels are funnier. I love writing them both! Over-usage of sexual violence on the page (or screen) as an easy way to establish villainy – and especially sexual violence against women that’s used, narratively, to motivate male characters into action. I have a new MG fantasy series starting in 2017 with The Dragon with a Chocolate Heart. It’ll be published by Bloomsbury in both the US and UK.